If you want a cup with handle with an original design, the mug Castle Design Naif is perfect. The mug Castle Design Naif by Villeroy & Boch is a cup with a very original and decorative handle. It is made of the finest porcelain, with a hand-decorated border and on the bright white of the ceramic there is a painting of a rural landscape with a river, a castle and a horse with a rider. 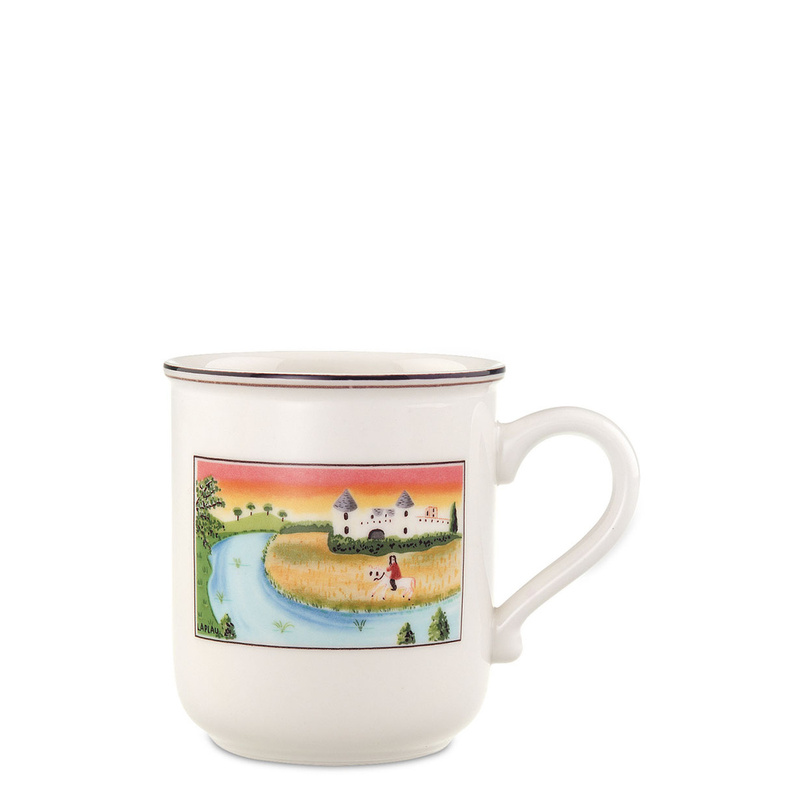 The perfection of the landscape and the beauty of the characters make this mug with handle very original and decorative. In fact, the mug Castle Design Naif is perfect for sipping a coffee, some hot chocolate, tea or infusions, for those who want to enjoy a moment of pure relaxation during the day or in the evening. This mug with handle is perfect combined with the other products of the collection, to set the table for breakfast and to impress your family with tasteful and delicate objects. The mug Castle Design Naif will perfectly match both classic in furnishings and romantic furnishings of the shabby type, in fact it will be anyway a great decorative element to put on display in cabinets and dish racks. This mug with handle is also perfect as a gift idea for those who want to surprise their friends and family with an original and exclusive gift. The mug Castle Design Naif, besides having a sophisticated design and a beautiful and very decorative shape, is also characterized by a high functionality, which is necessary to suit the modern lifestyle. This mug is microwave and dishwasher safe. 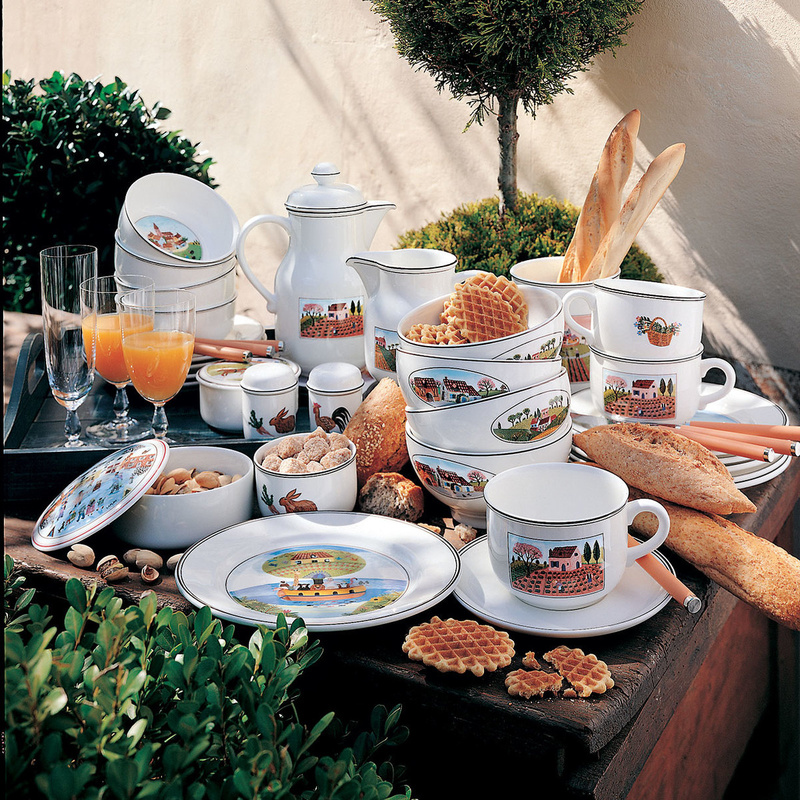 Villeroy & Boch is a company that since 1748 produces collections of items in premium china, and nowadays it is renowned all over the world. The production of its collections is a very elaborate and needs special technical expertise and a constant research to optimize the functionality of the products. All of this is always provided in full respect of nature, with eco-friendly products, which is another reason for Villeroy & Boch's success all over the world. The company is currently present in 125 countries, with 14 manufacturing facilities.